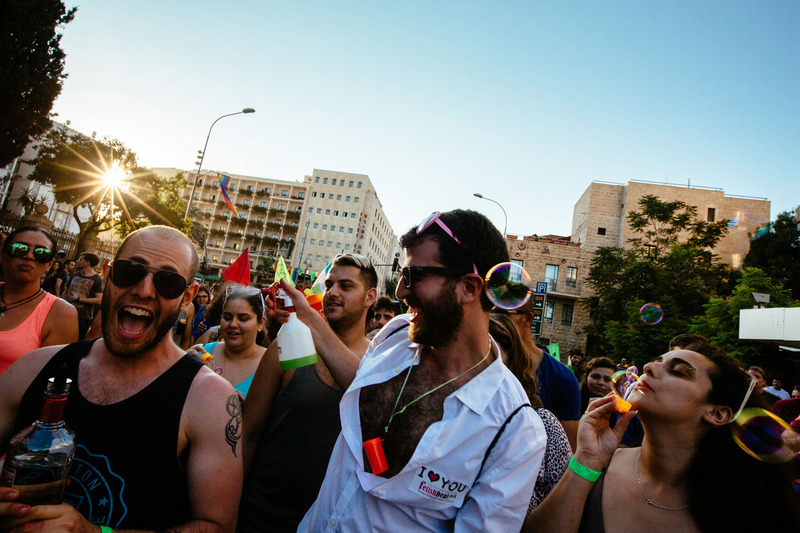 Israelis participate at the annual Gay Pride parade in Jerusalem, Israel on July 30, 2015. 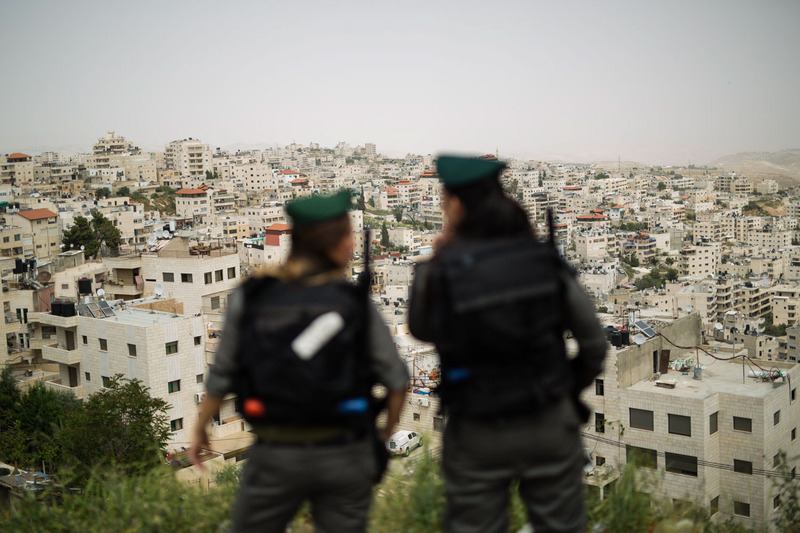 Six people were stabbed at the parade after the assailant, an ultra-Orthodox Jewish man identified as Yishai Shlissel, emerged behind the marchers and began stabbing them while screaming. 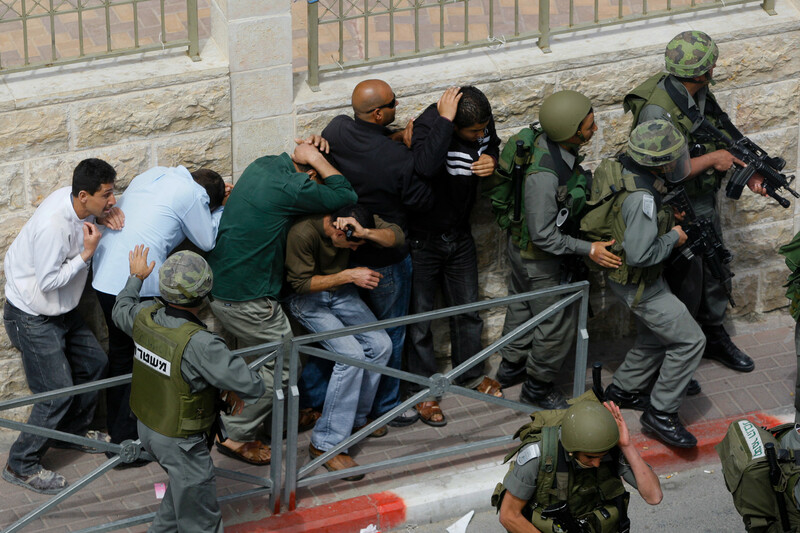 He was arrested by the Israeli police. 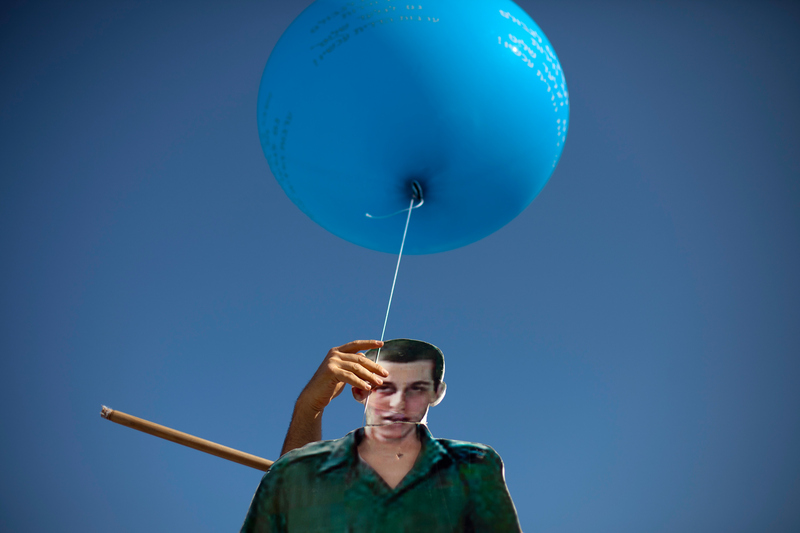 Shlissel was recently released from prison after serving a term for stabbing several people at the Jerusalem gay pride parade in 2005. 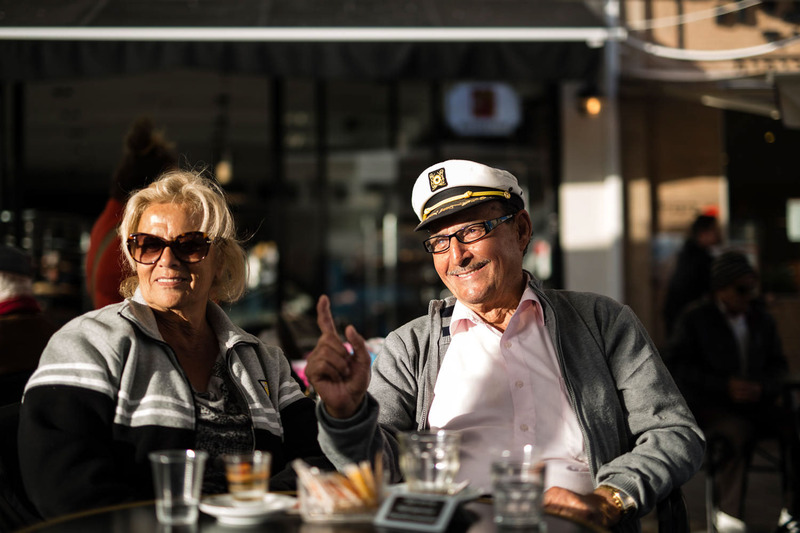 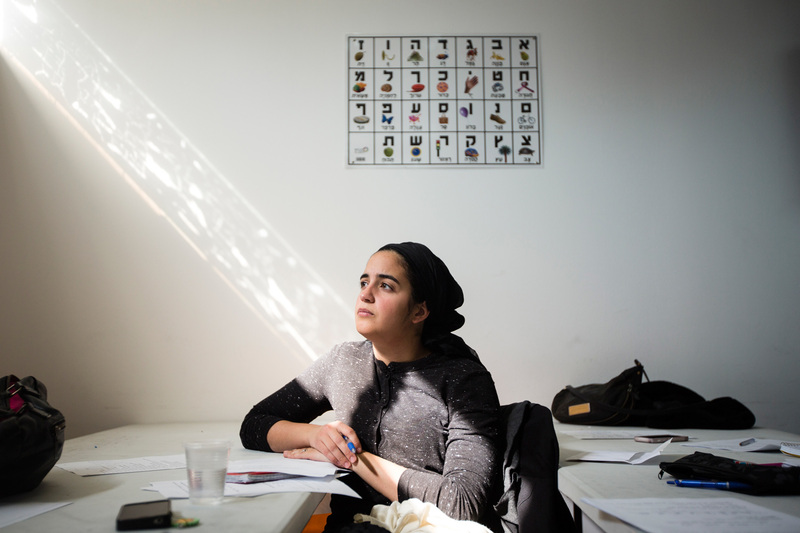 A French Jewish immigrant listens to a Hebrew lesson at Ulpan Morasha, a government-run educational center where new immigrants learn Hebrew, in Jerusalem, on Jan. 14, 2015. 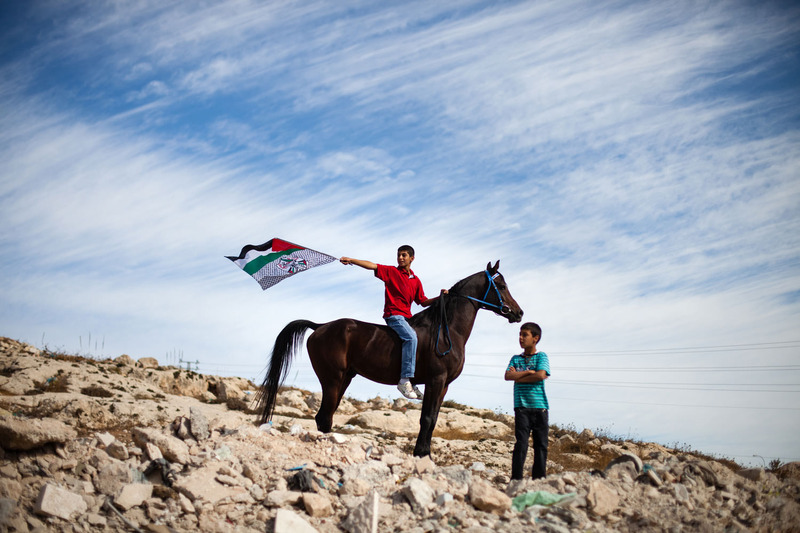 For The Washington Post. 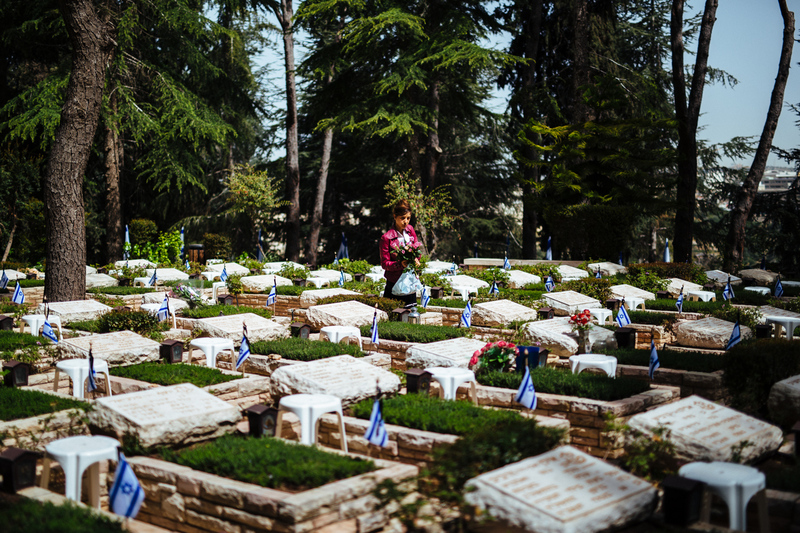 An Israeli woman walks with flowers that she places on graves of fallen Israeli soldiers, at the Mount Herzl military cemetery in Jerusalem, on April 20, 2015, ahead of the annual Memorial Day honoring fallen soldiers and Victims of Terrorism. 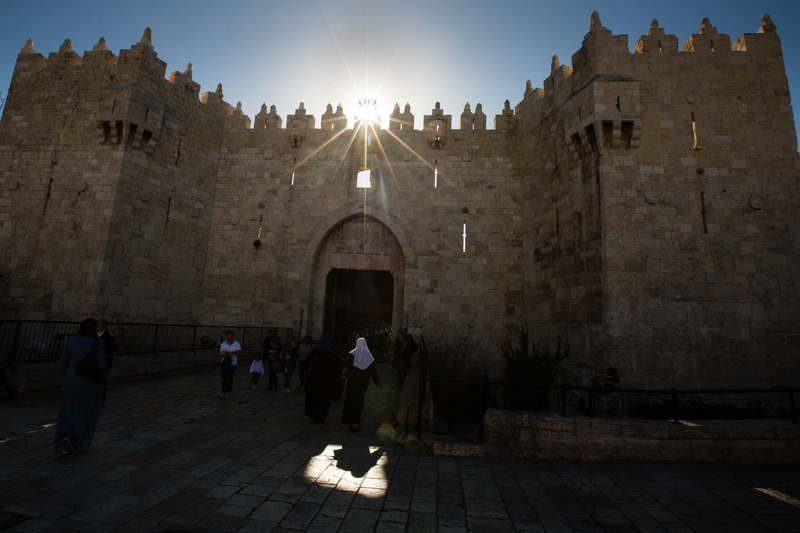 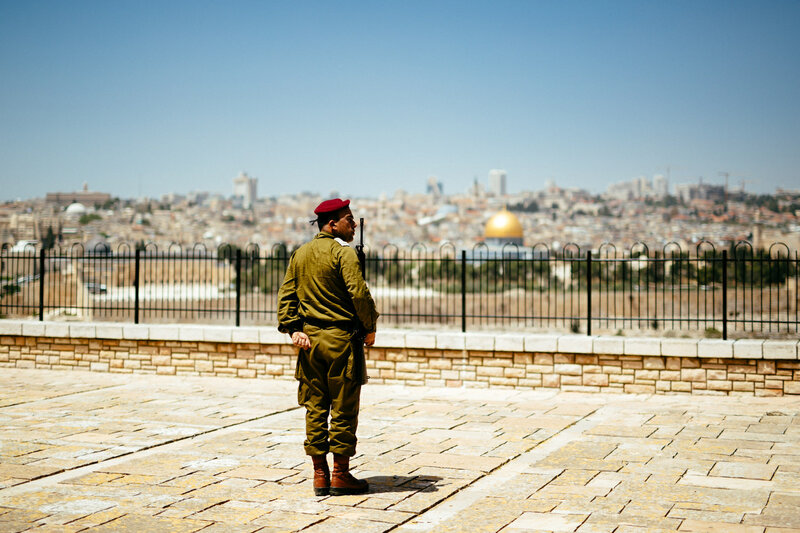 Backdropped by the golden Dome of the Rock Islamic Shrine in Jerusalem's Old City, an Israeli soldier is seen during preparations for a Memorial Day ceremony at the Mount of Olives in Jerusalem, Israel, on April 21, 2015, ahead of the annual Memorial Day honoring fallen soldiers and Victims of Terrorism. 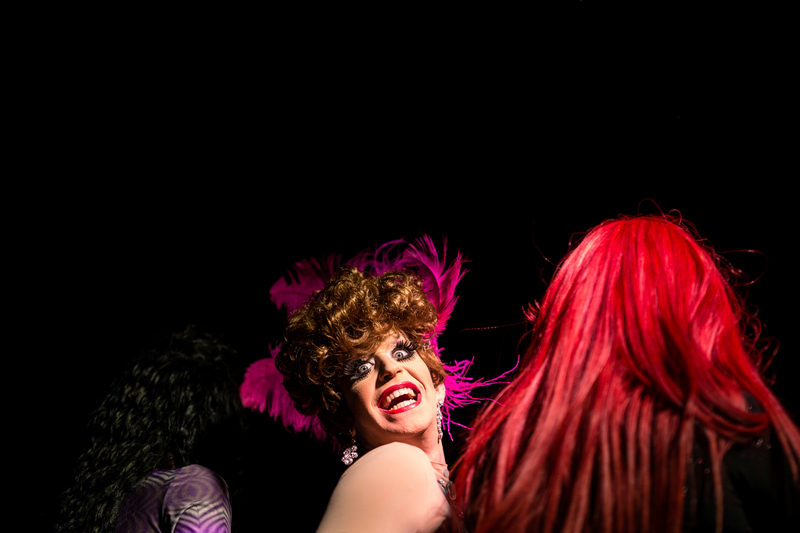 Israeli drag queens, transgenders and members of the LGBT (lesbian, gay bisexual and transgender) community attend a 'Drag Race' and performances organized by The Jerusalem LGBT community, in which competitors raced down a 50 meter stretch, wearing high heels, in central Jerusalem, on February 16, 2015. 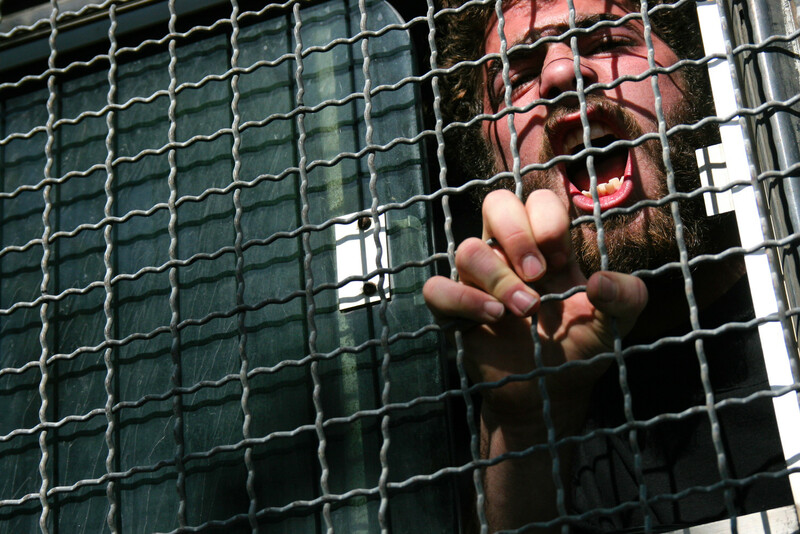 The event is part of the city's annual 'Winter Noise Festival' also dubbed 'Sound of Winter Festival' which features street performances, open bars and street art exhibitions. 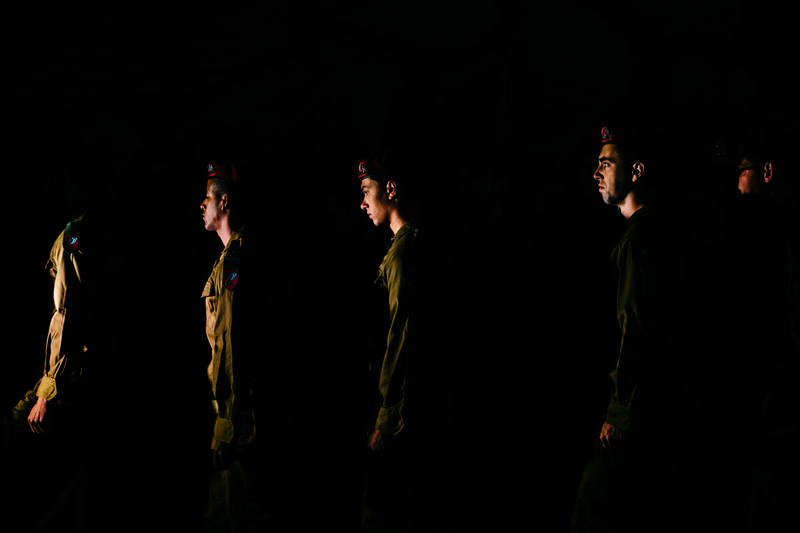 Israeli soldiers are seen during a ceremony marking the annual Holocaust Remembrance Day at the Hall of Remembrance of the Yad Vashem Holocaust memorial in Jerusalem, on April 16, 2015. 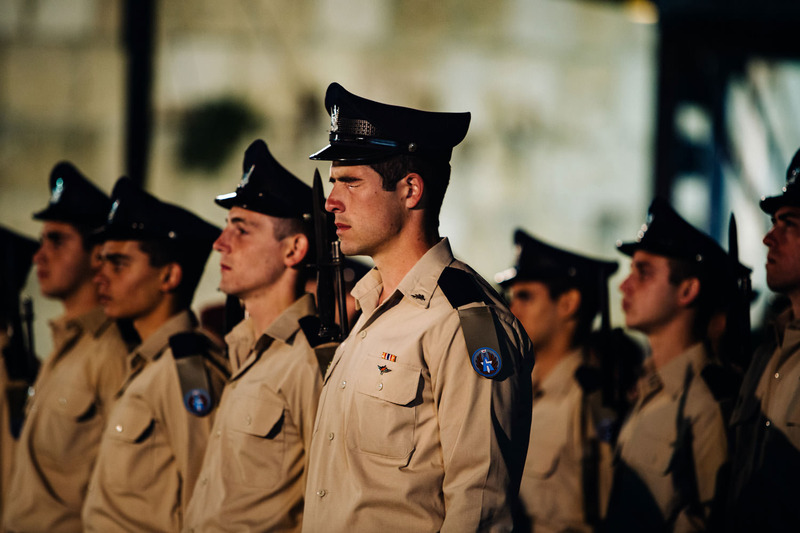 A member of the Israeli Military honor guard cries during a state ceremony marking the beginning of Remembrance Day for fallen soldiers, at the Western Wall, the holiest site where Jews can pray in Jerusalem's Old City, on May 10, 2016. 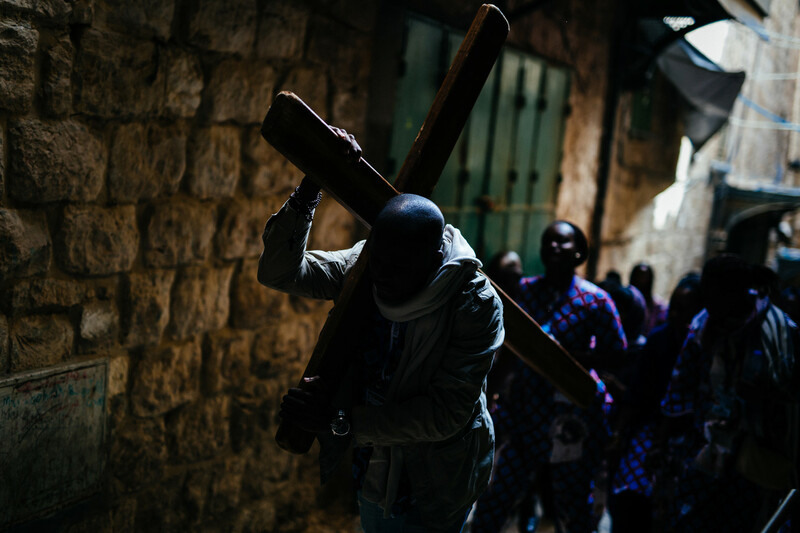 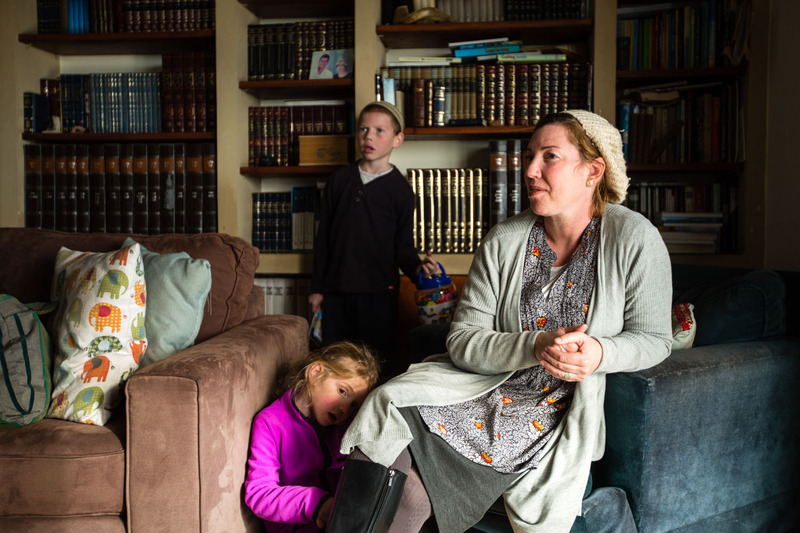 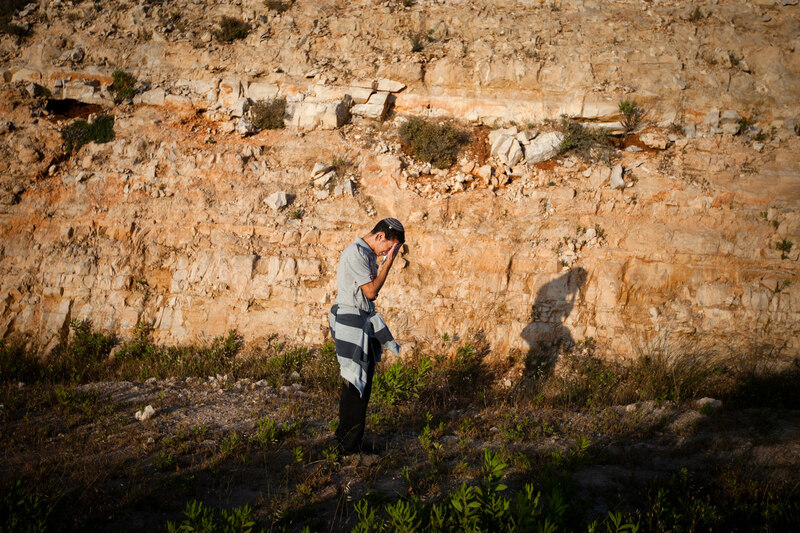 A Jewish settler reacts as he attends a mass prayer at the Ulpana neighborhood in the Jewish settlement of Beit El, near the Palestinian West Bank city of Ramallah, May 21, 2012. 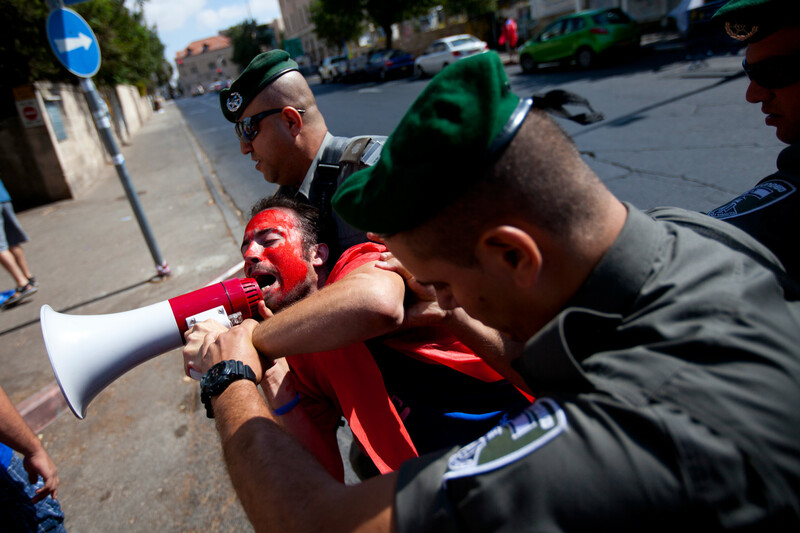 Israeli policemen arrest a protester during a protest held in front of Israel's PM residence in Jerusalem, on September 2, 2011, against social inequalities and the high cost of living in Israel. 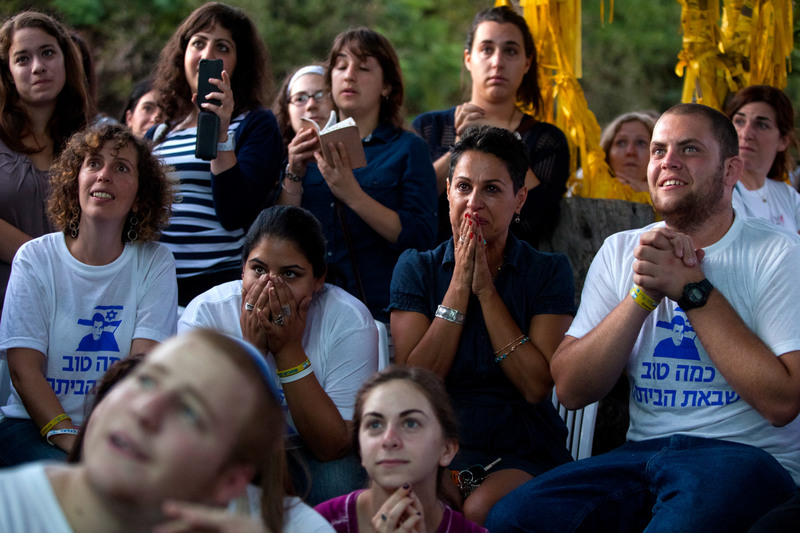 Israeli youths participating in 'Aharai! 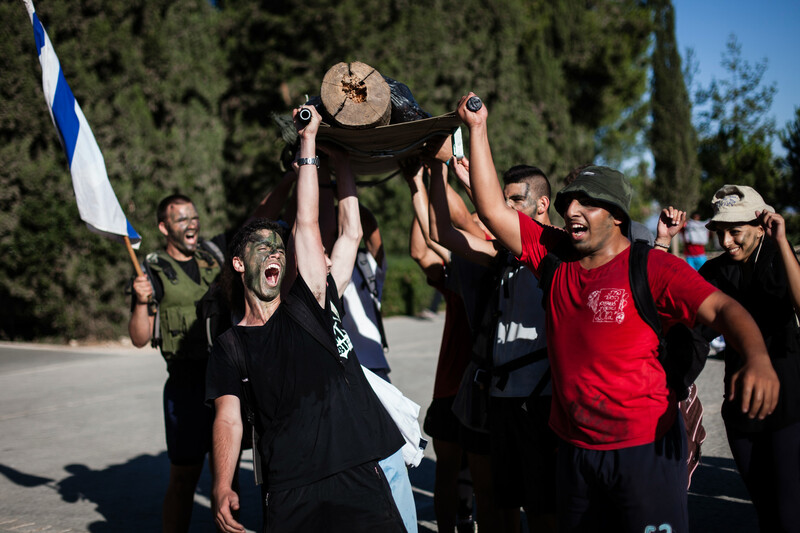 Youth Program' carry a log of wood on a stretcher to simulate carrying a wounded soldier during an overnight stretcher march to Jerusalem, on June 28, 2013. 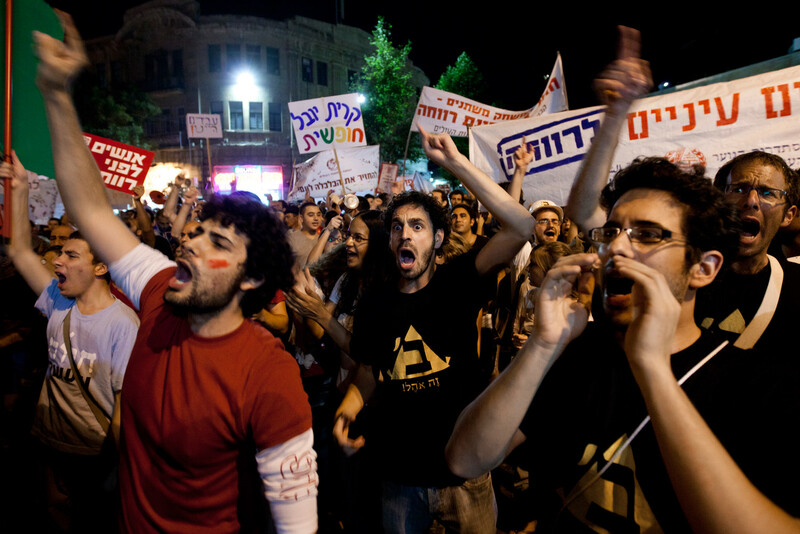 Israeli protesters take part in a demonstration for lower housing and property prices and against social inequalities and the high cost of living in Israel, in Jerusalem, on August 6, 2011. 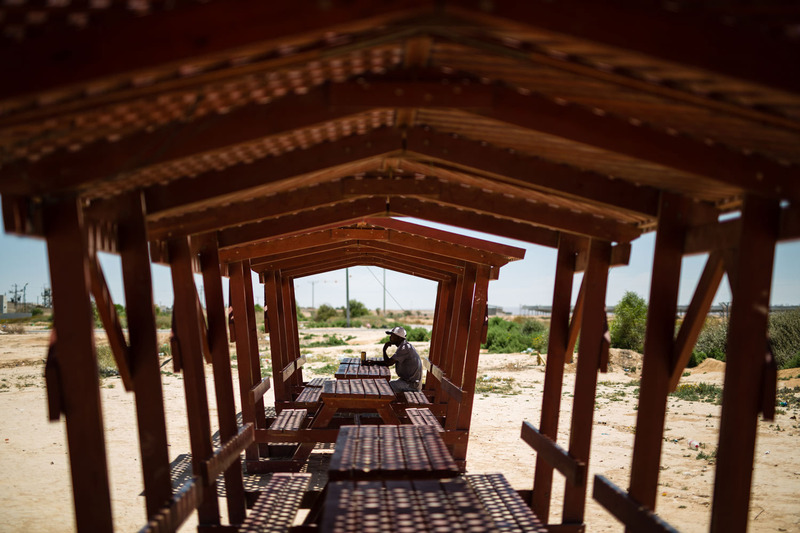 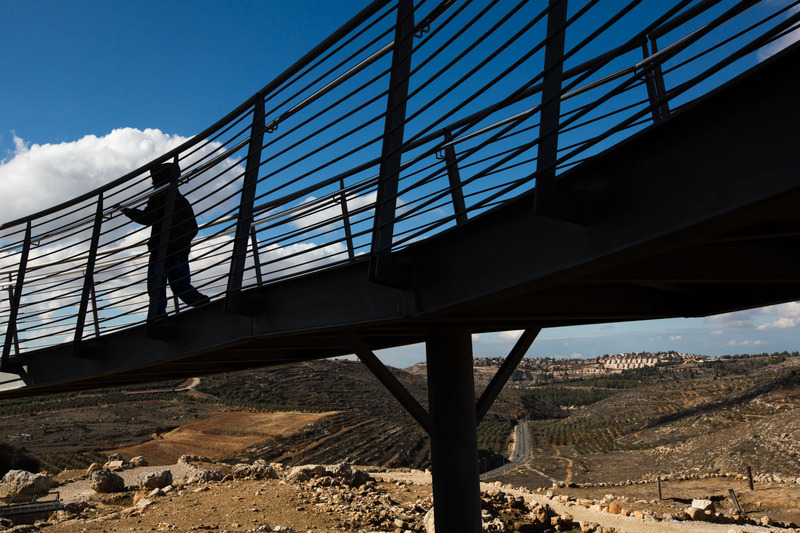 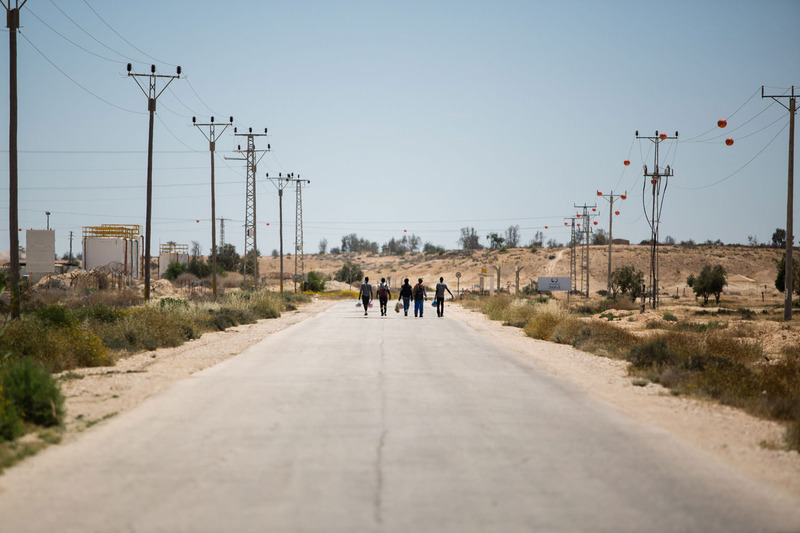 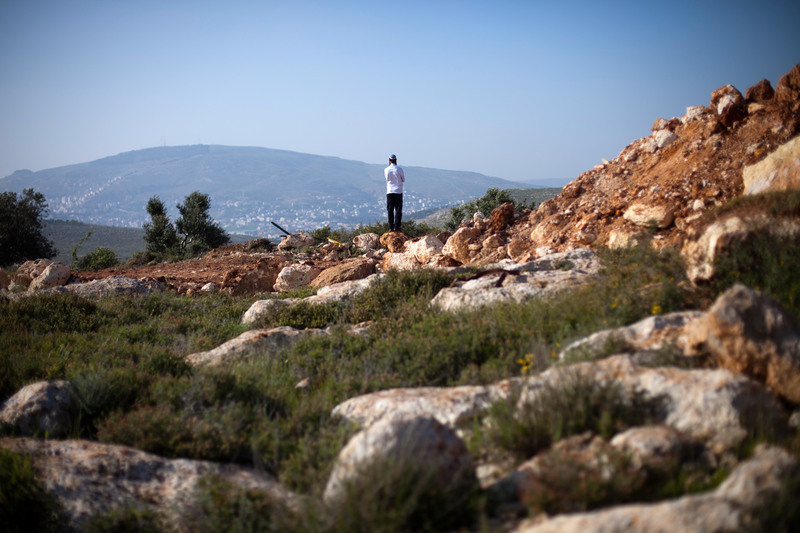 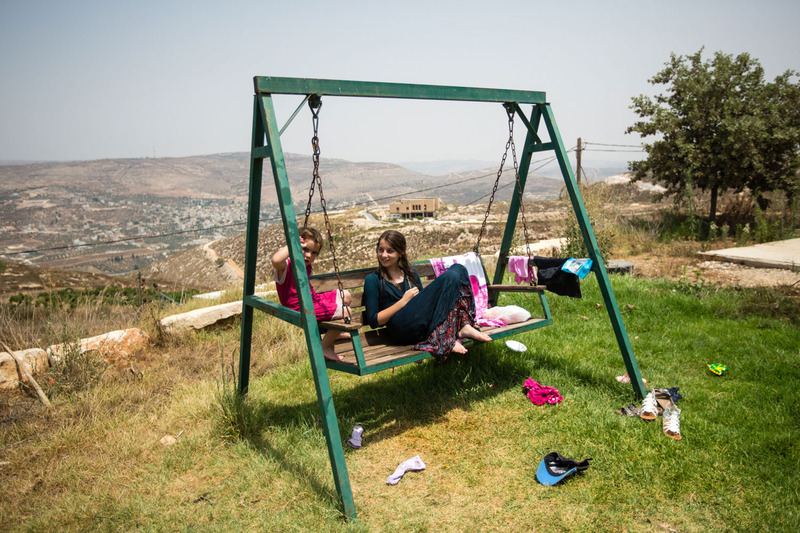 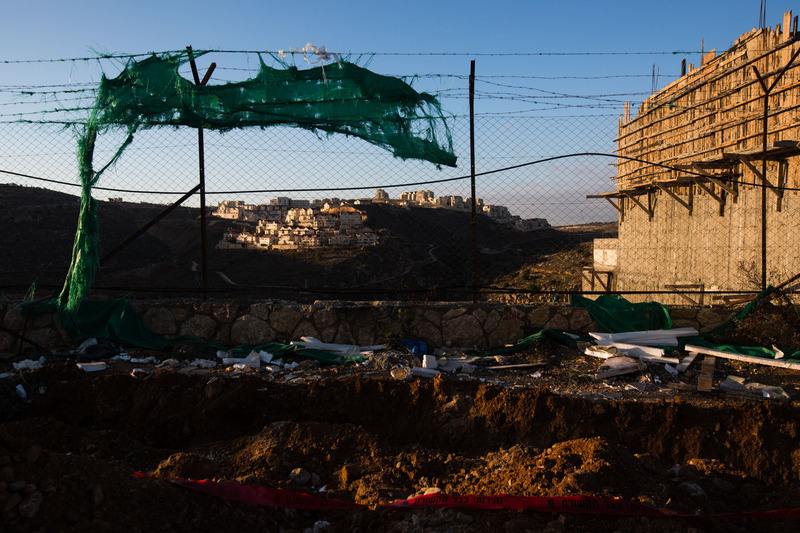 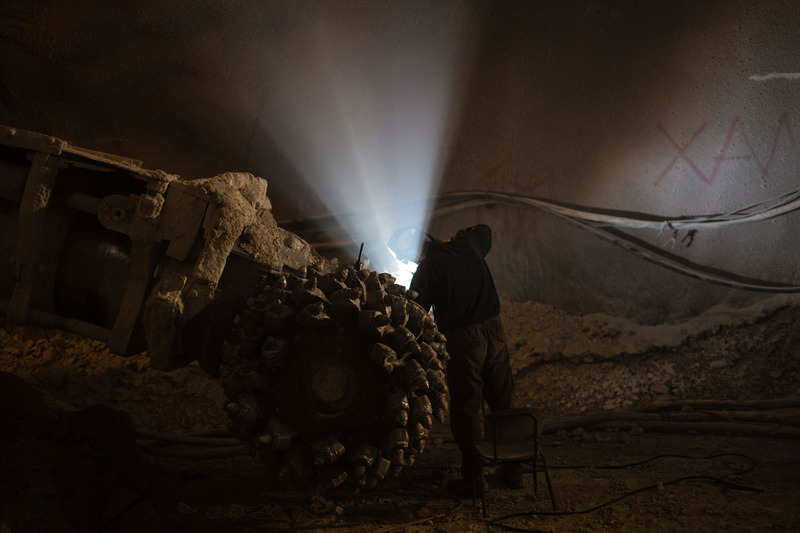 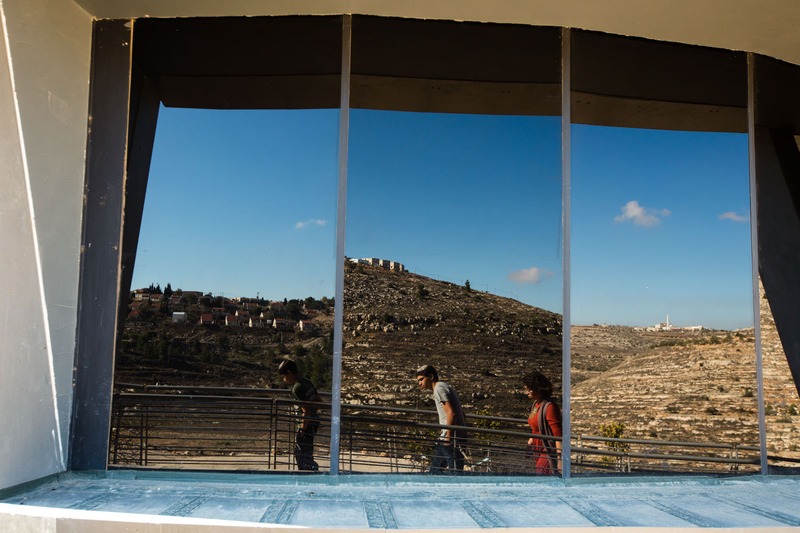 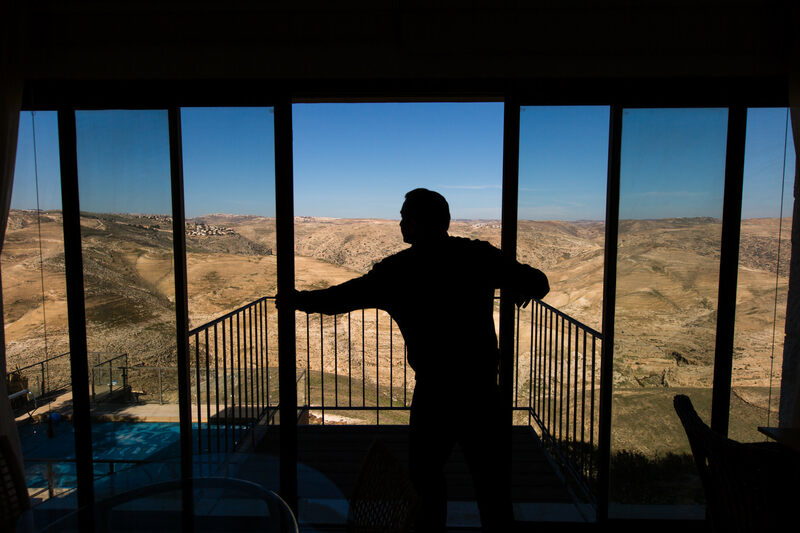 An Orthodox Jewish man watches the view from the West Bank settlement of Itamar on April 10, 2011, a memorial service marking 30 days since the murder of five members of the Fogel family. 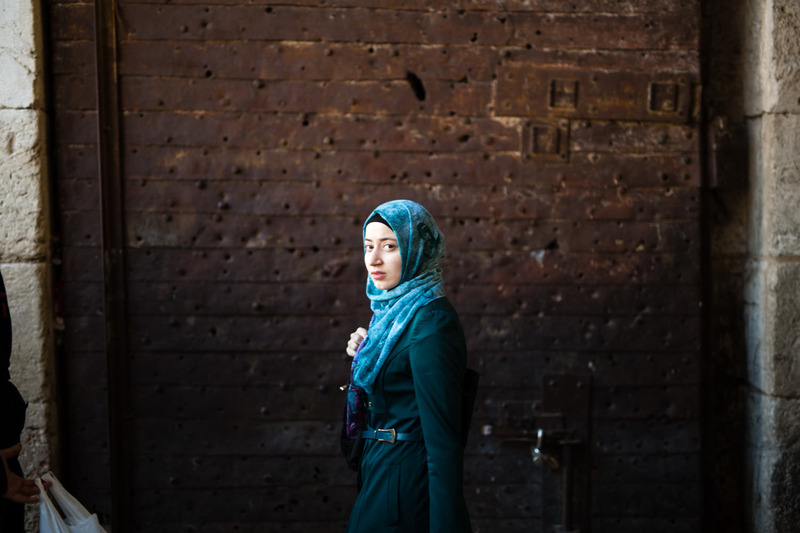 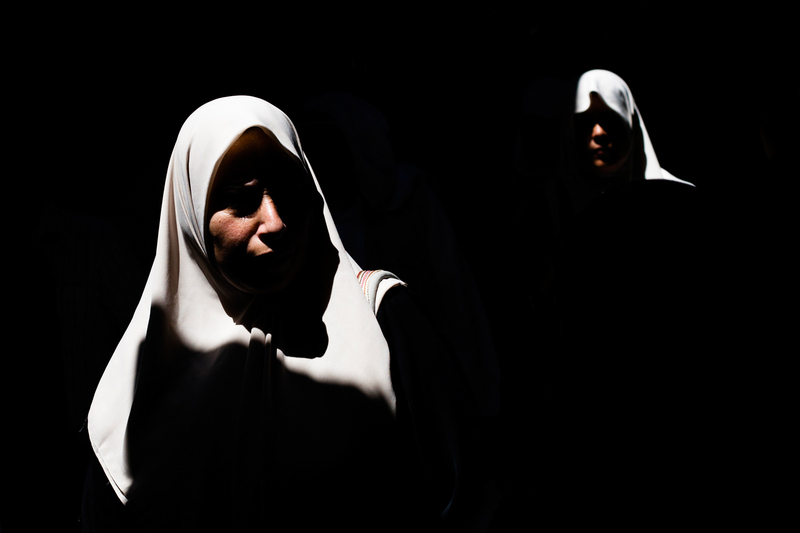 Palestinian women walk through the alleys of Jerusalem Old City, during the holy month of Ramadan, August 27, 2010. 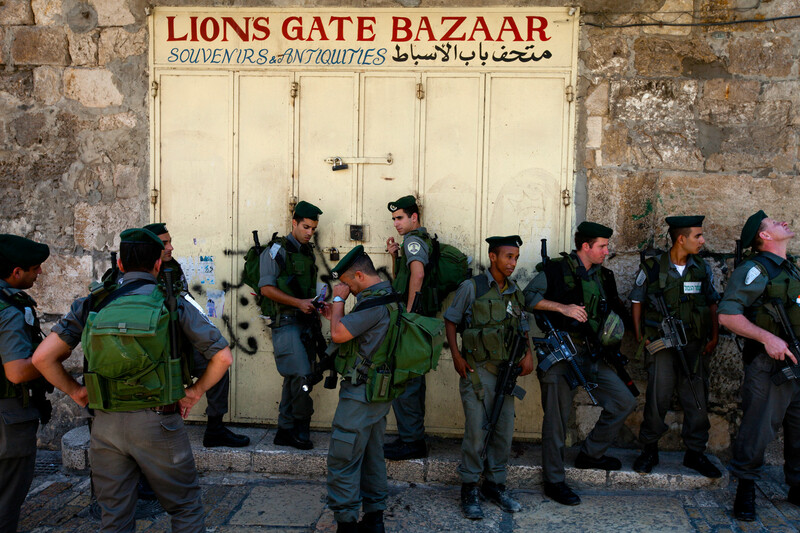 Israeli border police officers stand in an alley near the Lion's Gate on the first Friday of the Muslim holy month of Ramadan, August 13, 2010. 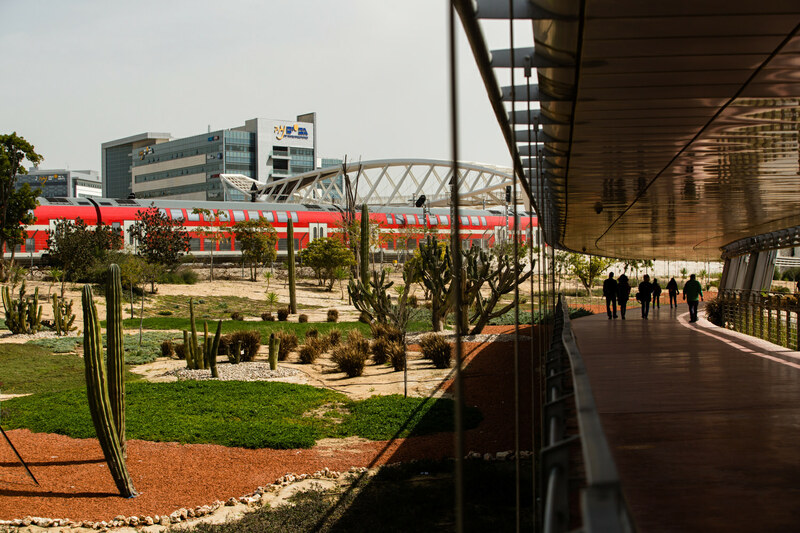 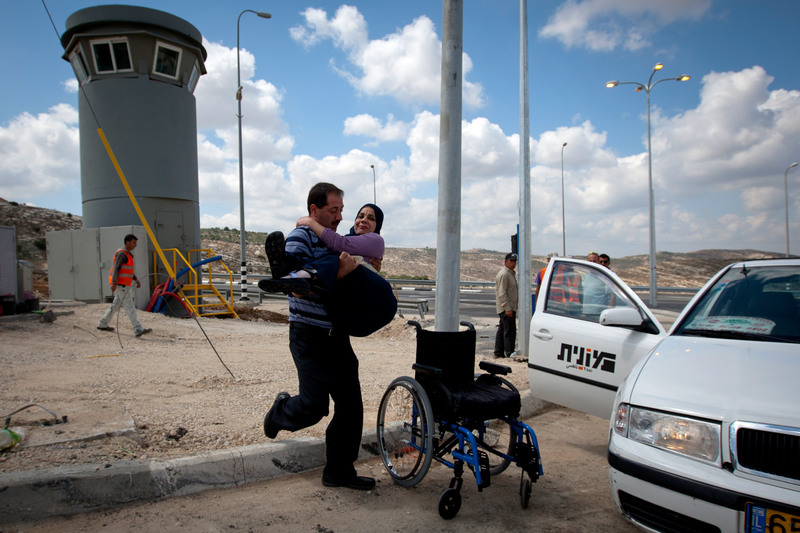 An Arab-Israeli taxi driver carries a disabled Palestinian woman arriving from Jerusalem after receiving medical treatment in an Israeli hospital, on route 443 near Beit Our, West Bank, May 24, 2010. 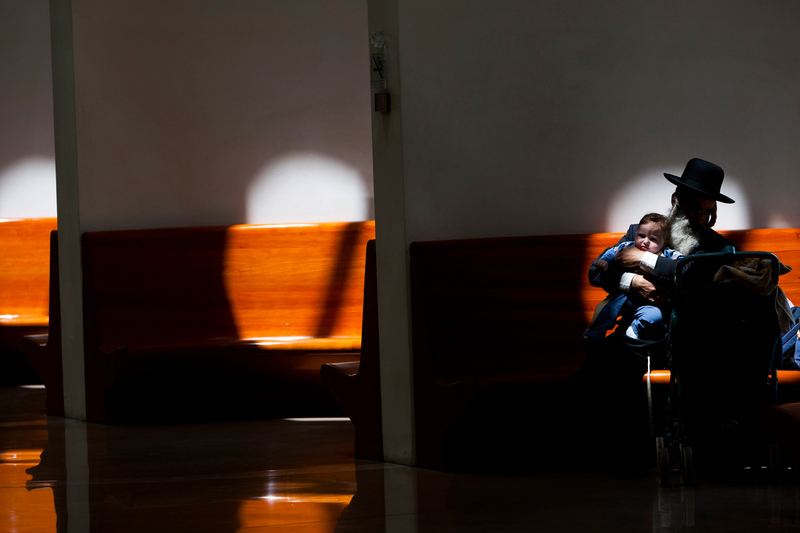 An ultra-Orthodox Jewish man tends to his child at the halls of the Supreme Court in Jerusalem, on April 29, 2010. 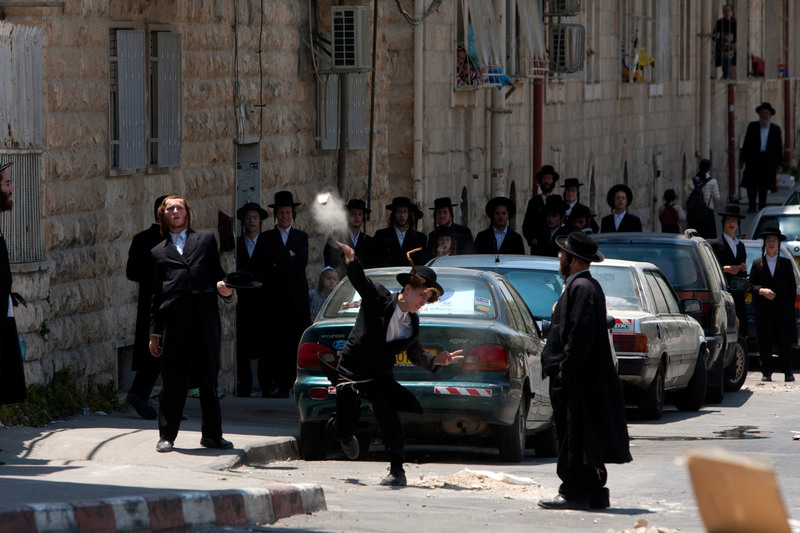 An Ultra-Orthodox Jewish man hurls a stone at Israeli policemen, not pictured, during a protest following the arrest of a woman suspected in starving he child, in Jerusalem, July 16, 2009. 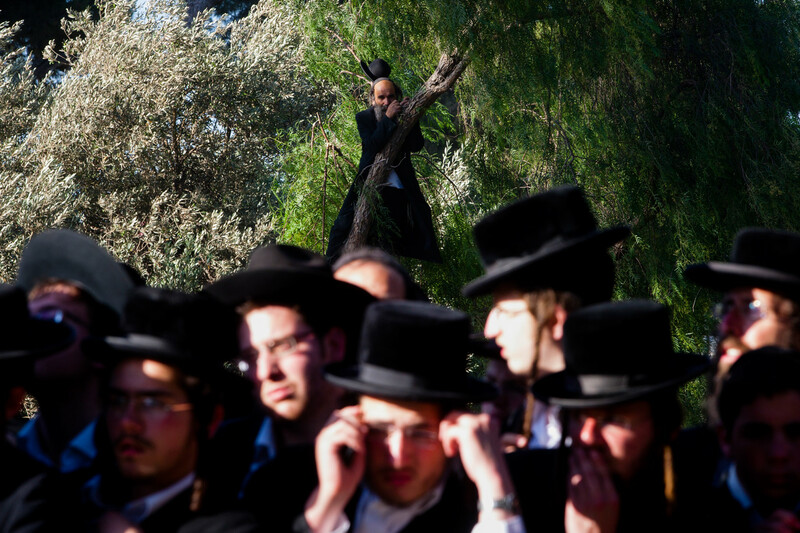 Ultra-Orthodox Jewish men gather to protest an Israeli Supreme Court ruling forcing the integration between Ashkenazi and Sephardic Jewish girls, in Jerusalem, on June 17, 2010. 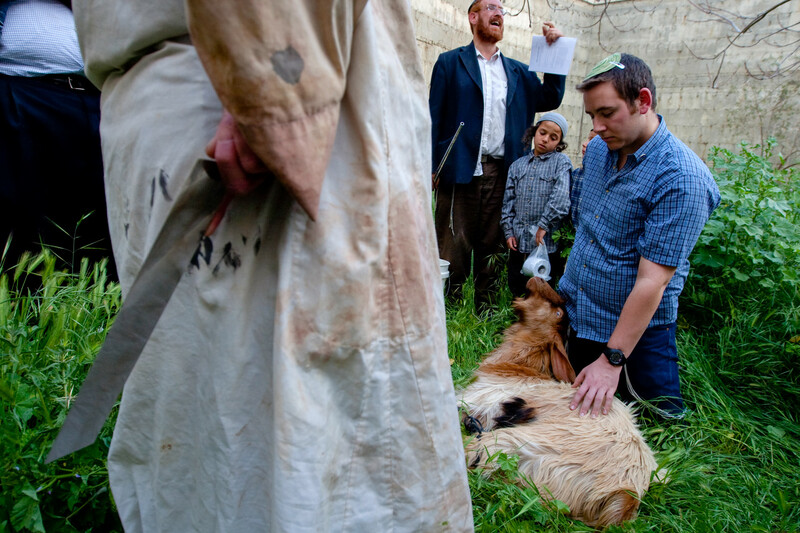 Members of the Bible-adherent Jewish group 'The Movement for rebuilding the Jewish Temple', prepare to perform Passover sacrifice, a ritual slaughter of a lamb in Jerusalem's Old City, April 5, 2009. 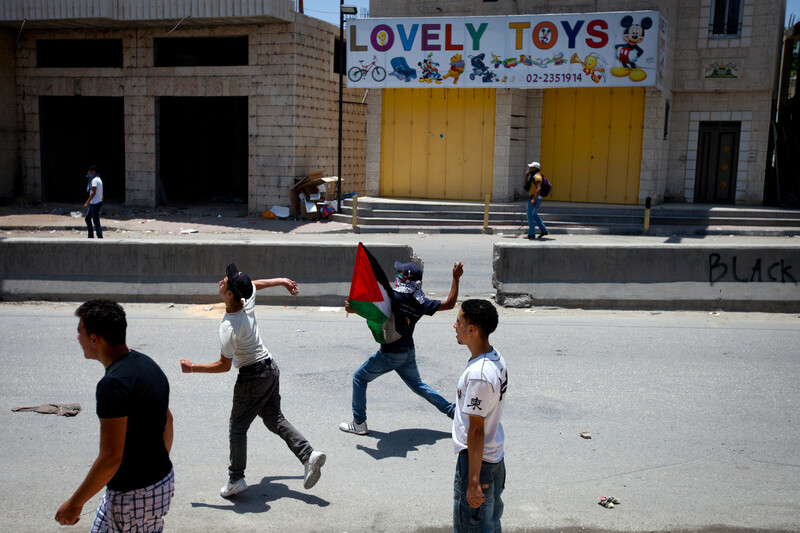 Palestinians take cover behind Israeli soldiers during riots in the East Jerusalem village of Tsur Baher, April 7, 2009. 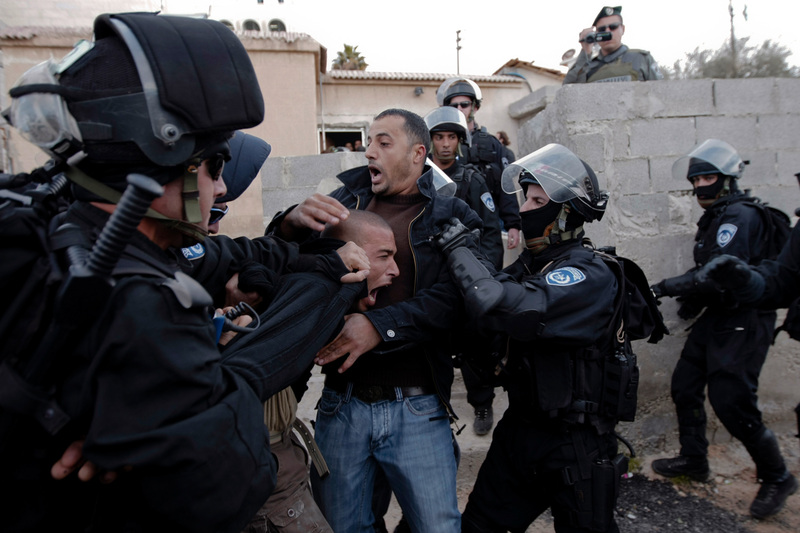 Israeli policemen arrest Palestinians during riots in the East Jerusalem village of Jabel Mukaber, January 19, 2009. 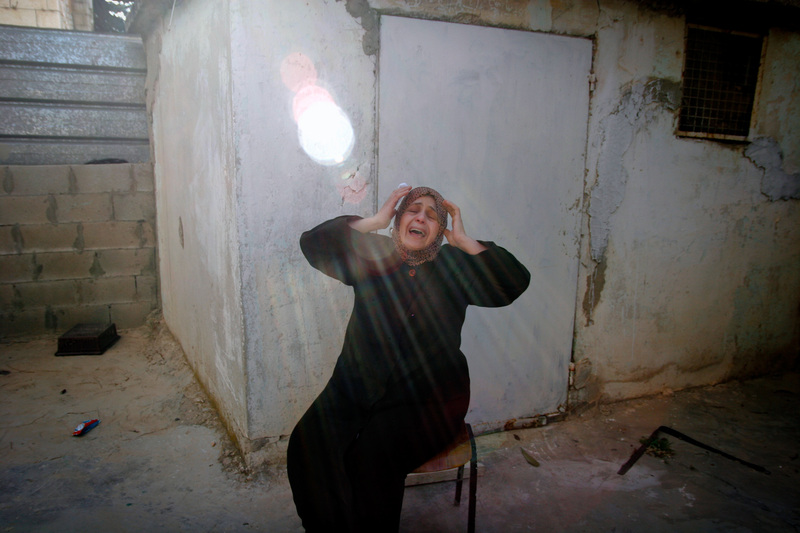 A relative of Palestinian taxi driver Taysir Karaki, who was murdered by a French Jewish man, mourns during his funeral in East Jerusalem, May 15 2007. 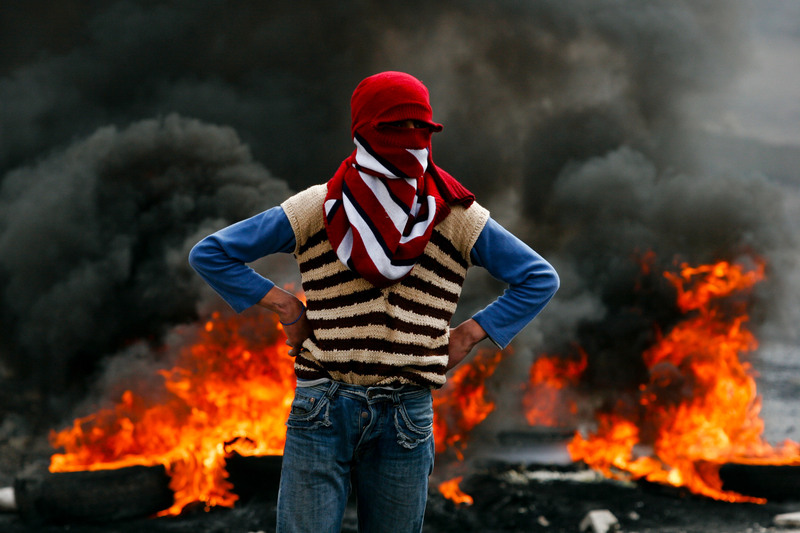 A Palestinian youth stands in front of burning tires during riots in the Shuafat refugee camp in East Jerusalem on March 3, 2008.